Spending time with Theresa and Tiffani is like going to the best kind of party- the sort where you feel like you've known everyone there for your entire life, though you've just met, and everyone can't stop laughing. When they're not cuddling on the couch watching crime dramas or hanging out with their equally hilarious group of friends, Theresa and Tiffani work as social workers, and I can't imagine how lucky their clients feel to be working with them. 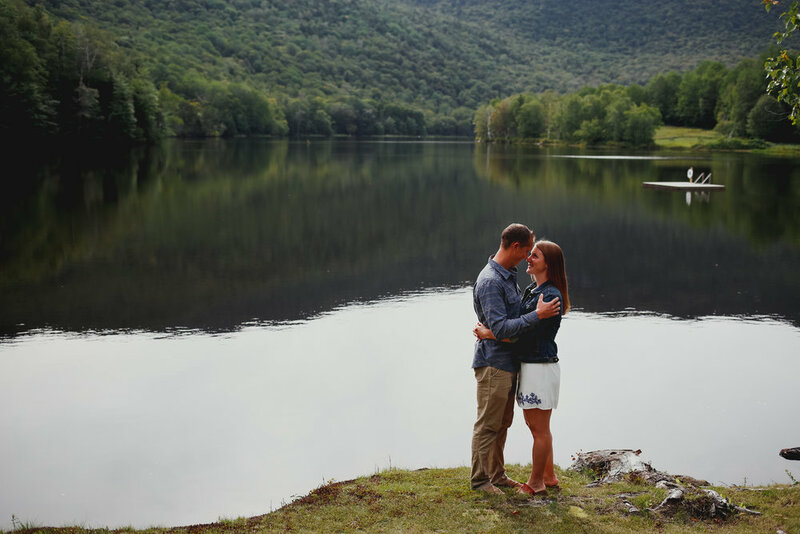 We spent Saturday afternoon chasing light and water around the White Mountains, eating Twizzlers, and applying copious amounts of bug spray during the engagement session that felt just as much like a hangout as a photo shoot. Can't wait for their wedding at Ohana Camp in September! This weekend, as Jeff worked hard to finish building our house, I flew to California to photograph Jordy and Eric in some of their favorite places. While Jordy and Eric grew up on the East Coast and are getting married there this summer (we're excited to photograph their wedding in Killington in August), they wanted to have photos in the place they're currently living and working to document this slice of their lives together. We caught up as we drove to Big Basin State Park, and laughed (and got lost a little), while hiking through the brilliantly green redwood forest. We chased the sunset to the beach, where we were lucky to have the most perfect light as we ran around the shoreline. What an epic weekend with the best collaborators!